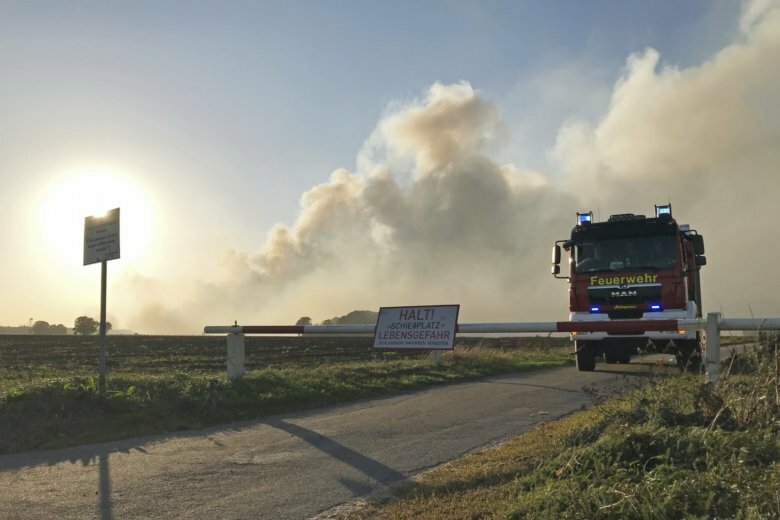 BERLIN (AP) — Officials in northwestern Germany are declaring a disaster over a wildfire triggered two weeks ago by a rocket test on an army training site. Authorities in the Emsland region said Friday that they are considering ordering the evacuation of about 1,000 people from two villages near Meppen, close to the Dutch border. Firefighters have been struggling to contain the blaze on moorland used by the German army for training exercises. Smoke has spread over 100 kilometers (62 miles) and is visible on satellite images. By declaring a disaster, local authorities can request forces from outside the region. Defense Ministry spokesman Jens Flosdorff said the situation was “very serious” and apologized for any mistakes made. He said German Defense Minister Ursula von der Leyen planned to visit the site Saturday.